What is the community component of EnviroAtlas? Do I need any special expertise or software to use EnviroAtlas? What kind of information is presented in EnviroAtlas? What can I use EnviroAtlas for? How do I learn how to use EnviroAtlas? How do I cite EnviroAtlas? The text seems to be wrapping on my screen; is there a way to fix this? Why does it take the national data such a long time to load? There seem to be layers with the same name in multiple places; do they contain the same data? Is there a way to identify the features of a certain polygon on the map just by clicking it? What are web services and how can I use EnviroAtlas web services? Are the data in EnviroAtlas summarized by community, state, or watershed? How accurate is the data and analysis in EnviroAtlas? Can I incorporate my own data into EnviroAtlas? Can I provide any feedback to the EnviroAtlas Development Team? Is EnviroAtlas a finished product? Can I access EnviroAtlas from my mobile device (e.g., smartphone, tablet, phablet, etc.)? It seems like you don’t include data for Alaska or Hawaii; why not? How often are the data in EnviroAtlas updated? The EnviroAtlas interactive map seems to include data predominately related to current condition. Can I use it to predict future scenarios or potential changes? How do I locate more information about each of the data layers? How can I tell how old the data is? Will you keep older versions of the data as newer data become available? Where are the data stored that are displayed in EnviroAtlas? We have postponed these efforts for a period, as we are currently in the process of updating to a new version of 12-digit HUCs that are based on the NHD Plus catchments. Because this would require us to duplicate our efforts, we are waiting until the HUC changes are complete. We truly appreciate your interest in EnviroAtlas and will keep you posted on the csv and shp assembly. We are excited about the several fantastic updates that are coming to EnviroAtlas, but apologize for the delay. I would have to explore all these ZIP files at: https://edg.epa.gov/data/ to see if that is true across all EPA Geospatial Data. If that is the case then this is not open data. Access geospatial data provided by EPA's Program Offices, Regions, and Labs by clicking on the folders below. Web site: EnviroAtlas, US Environmental Protection Agency. EnviroAtlas is a collaborative project developed by EPA, in cooperation with the US Geological Survey (USGS), the US Department of Agriculture's Natural Resources Conservation Service (NRCS) and Forest Service, and Landscope America. Produced by the collective effort of federal employees, contractors, and non-governmental organizations, EnviroAtlas develops and incorporates data from federal, state, community, and non-governmental organizations. EnviroAtlas is a dynamic effort to provide data and the ability to analyze relationships between ecosystems, the services and benefits they provide, the communities that depend on them, and the factors that affect these services. The data can be used in the Interactive Map, downloaded, or accessed through web services. Each data layer has its own data fact sheet and metadata. See a list of all the EnviroAtlas data available for the community and the nation as a .pdf (PDF) (About PDF), an .xls file(Excel), or as two tab-delimited text files (National file (TEXT) and Community file(TEXT)). EnviroAtlas data are developed for the Nation at the subwatershed scale and at a higher resolution for selected Communities. Additional Supplemental maps, such as boundary layers and land cover data, are offered for the nation and for the selected communities to provide context. Maps at the national extent provide wall-to-wall data coverage for the coterminous U.S. These data layers are summarized by 12 digit hydrologic watershed basins (12-digit HUCs) and provide approximately 90,000 similarly sized spatial units. A list of the currently available data is accessible as a .pdf (PDF)​ (About PDF), an .xls file (Excel), or as a tab-delimited text file (National file ) (TEXT). This file shows the benefit categories under which each layer can be found. Supplemental maps for the nation provide context and additional data for exploring ecosystem services and the built environment. These data are not summarized by a specific spatial unit. Instead, these supplemental maps represent features in the landscape such as rivers and wetlands, as well as other contextual landmarks such as state boundaries. Details on each supplemental map can be found in the data fact sheets. Community-level information in EnviroAtlas draws from fine scale land cover data, census data, and models to estimate ecosystem services and their benefits within the community area. EnviroAtlas community data are consistent for each available community, and are mostly summarized by census block groups. EnviroAtlas is building datasets for 50 communities in the United States; each community area boundary is based on selected block groups within the 2010 US Census Urban Area boundary. See a list of the available and upcoming communities. Learn more in the Community Fact Sheet (1pp, 997K, About PDF) or download a list of all the EnviroAtlas data available for each community as a .pdf (About PDF), an .xls file, or as a tab-delimited text file (Community file). This file shows the benefit categories under which each layer can be found. Supplemental maps for each community provide context and additional data for exploring ecosystem services and the built environment. These data are not summarized by a specific spatial unit and include the 1 meter resolution land cover data for each community. Details on each supplemental map can be found in the data fact sheets. By 2017, EnviroAtlas will grow to include over 50 communities in the United States. EnviroAtlas communities are selected based on geography, ongoing local research, and the ability to leverage other EPA projects. In general, the community boundaries represent the census block groups within the census urban area for the main community in the area. Below, you can access community fact sheets, community boundary areas, and the data download page. Project fact sheets, which detail the entire project or specific components. Community summary sheets, which summarizes data available in the community component for each EnviroAtlas community. EnviroAtlas includes a fact sheet for each map layer in the Interactive Map. Note: Not all of the fact sheets are available at this time. Click the fact sheet types in the the menu below to access available fact sheets - these will have a "(pdf)" after the title. The setup of these menus is the same as the ecosystem services data layers in the Interactive Map. The fact sheets can also be accessed through the "Data Fact sheet" link under the blue "info" icon next to the map name in the interactive map. In the Interactive Map, there are three tabs under which you can find map layers/data: Ecosystem Services and Biodiversity, People and Built Spaces, and Supplemental Maps. For the National and Community sections, data under this tab are organized into seven ecosystem services benefit categories. The benefit categories are as follows: clean air; clean and plentiful water; natural hazard mitigation; climate stabilization; recreation, culture, and aesthetics; food, fuel, and materials; and biodiversity conservation. Because a particular map layer may be linked to many services/benefits, it may be found under multiple benefit categories within the map. This tab contains data related to the built environment and separate sections for demographics at the National and Community scales. National Demographics: The demographic data for the nation is summarized by census tract, and uses the 2010 American Community Survey data and the 2010 US Census tract boundaries. Community Demographics: For selected communities included in the community component of EnviroAtlas, demographic data is available in block group summaries also uses data from the 2010 American Community Survey data and as well as the 2010 US Census Block Group boundaries. Supplemental Maps are organized into four sections: Boundaries, Biophysical Vector Data, Biophysical Raster Data, and EPA Waters Data. Boundaries: Includes physical boundaries for EnviroAtlas communities, watersheds, political areas, and ecological regions. Also includes PAD-US data and Ecoregions. Biophysical Vector Data: Includes the National Hydrography Dataset, Connectivity Data, GAP ecological systems, soils data, and data from the National Wetlands Inventory. Biophysical Raster Data: Includes land cover for available communities, dasymetric data, rare ecosystems, and potentially restorable wetlands. EPA Waters Data: Includes data for EPA Impaired and Assessed waters. Indicators are selected and developed for their ability to provide some information about the provision of a particular ecosystem service. Many of the indicators do not describe an ecosystem service by themselves but provide one piece of information of a complex puzzle. Some indicators get much closer to a true ecosystem service than others. The Community data, for example, gets much closer to ecosystem services values than does the national data. This is because models have been developed that can be applied to the Community but not the nation because we do not have all of the necessary data. As ecosystem services science continues to evolve, EnviroAtlas will provide data that gets closer to ecosystem services. In the future, tools will be added to allow the user to take a group of indicators and combine them into an index. Taken collectively, a group of indicators can get much closer to an ecosystem services value than can an individual indicator. The development of indicators relies on the availability of nationally and locally available data sets which provide inputs to models and calculations. EnviroAtlas supports the development of some of these data sets. Land cover for example is a critical data set that is necessary for the computation of many of the EnviroAtlas data layers. EnviroAtlas supports the development of the National Land Cover Dataset (NLCD), a 30 m resolution product, and is responsible for the development of the high resolution land cover, a 1 m resolution product, being used for the selected Communities. For investigating changes over time, it is important to have land cover data available for multiple time periods. NLCD is produced every 5 years. Other data sets such as stream hydrography, soils, demographics, topography, and economic data are all used in combination with land cover in various models to produce our indicators. EnviroAtlas national and community data are available to download below as geodatabases. Due to technical limitations, not all of the available EnviroAtlas data (e.g., 1-meter landcover data, supplemental data) are posted to this webpage. Please contact us with any questions. Below is a single geodatabase file for all of the national-scale data layers under the Ecosystem Services and Biodiversity tab in the Interactive Map. These tables will join to the Watershed Boundary Dataset below. All available EnviroAtlas data for each community, except the landcover, is included in the individual geodatabase files below. Durham, NC metric tables in Esri FileGeodatabase format (compressed [21.7 MB]). 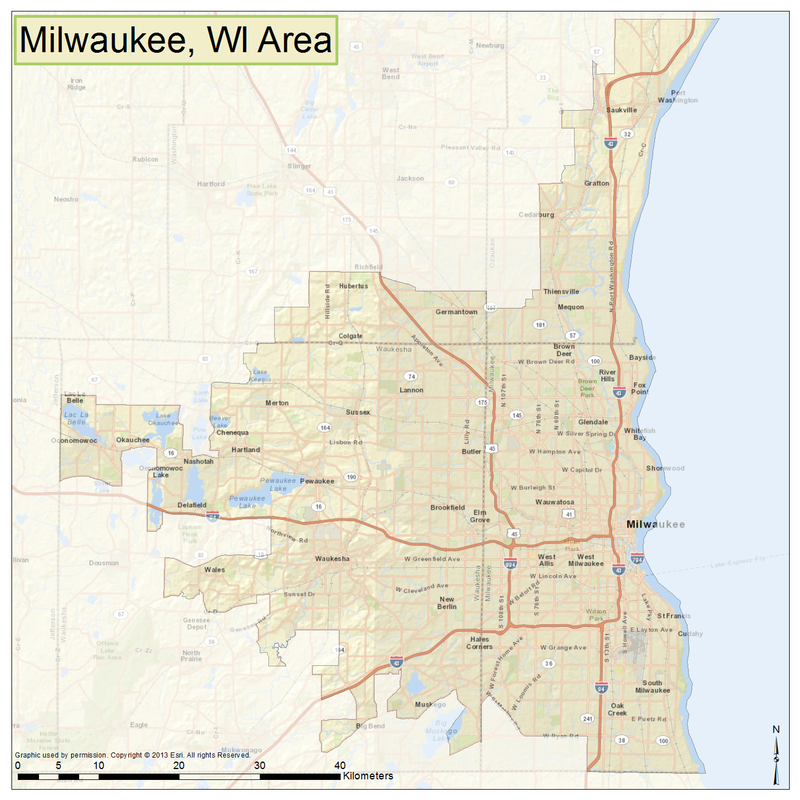 Milwaukee, WI metric tables in Esri FileGeodatabase format (compressed [67 MB]). 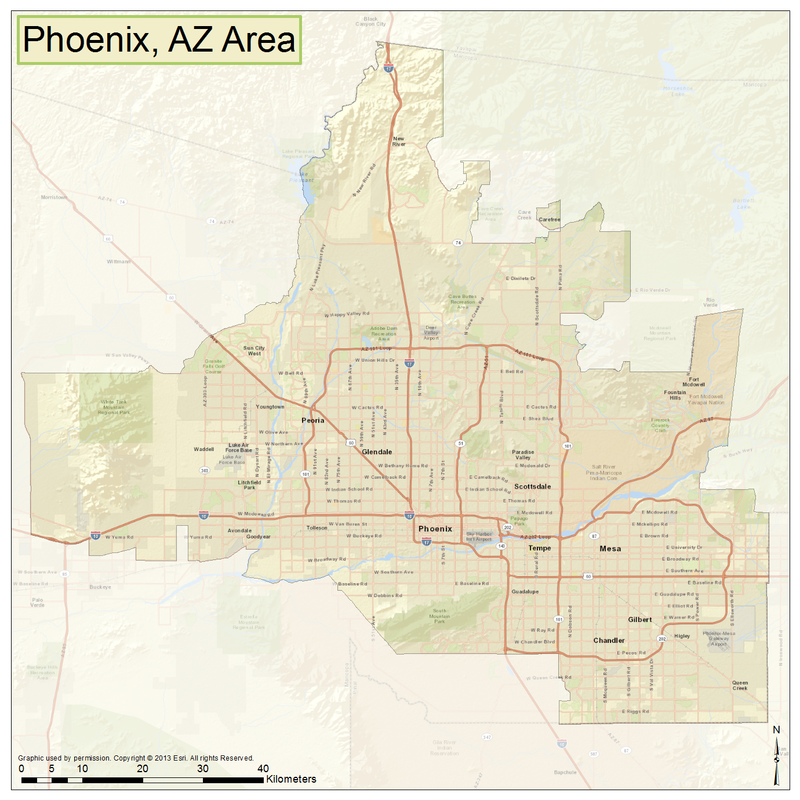 Phoenix, AZ metric tables in Esri FileGeodatabase format (compressed [67 MB]). Pittsburgh, PA metric tables in Esri FileGeodatabase format (compressed [33.2 MB]). 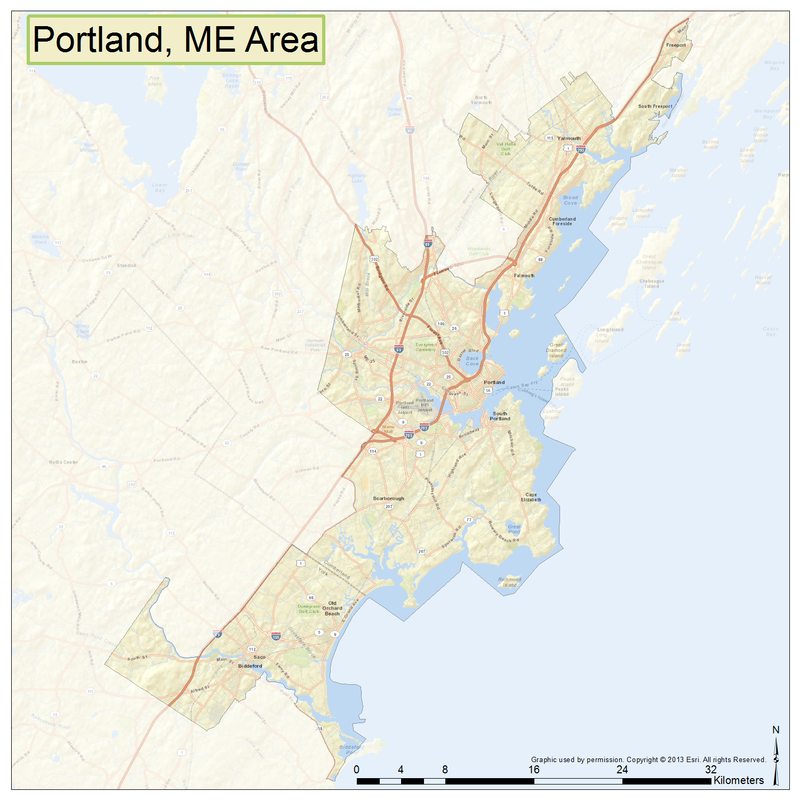 Portland, ME metric tables in Esri FileGeodatabase format (compressed [14.3 MB]). Tampa, FL metric tables in Esri FileGeodatabase format (compressed [54.4 MB]). Using the interactive mapping tool, data analysis tools, and interpretation information, users can learn more about the potential societal impacts of future development, redevelopment, and restoration projects. Developed by the US EPA in cooperation with Landscope America, USGS, NRCS, and the US Forest Service, EnviroAtlas incorporates data from federal, state, community, and non-government organizations (NGOs) and hopes to continue building partnerships. If you are interested in learning more about the project partners or are interested in becoming a partner, please contact us. An ecosystem includes the plant and animal communities in an area together with the non-living physical environment that supports them. Ecosystems have physically defined boundaries, but they are also dynamic: their boundaries and constituents can change over time. They can import and export materials and energy and thus can interact with and influence other ecosystems. They can also vary widely in size. "Ecosystem services", also referred to as "Nature's Benefits", are the goods and services derived from ecosystems such as clean and abundant water; clean air, recreational opportunities, protection from weather extremes, a stable climate, food, fiber, and fuels, as well as spiritual and cultural amenities. Learn more aboutecosystem services and how to use the ecosystem services data in EnviroAtlas. The community component of EnviroAtlas is a focused effort to provide high resolution data on ecosystem services and community benefits to local decision-makers and community leaders. The EnviroAtlas project includes data for selected communities within the U.S. and Puerto Rico that has been produced at a finer scale. Although EnviroAtlas includes this fine scale data for a limited number of communities, the methods and data may serve as examples for other communities. EnviroAtlas communities were selected based on environmental and human health data availability, population size, geography, potential need for detailed spatial data analysis, and regional interest. The EnviroAtlas data page has images of the boundaries for each EnviroAtlas community as well as details on the scope and type of data available in the community component. EnviroAtlas has been designed for use by any individual, government, or organization with an interest or curiosity about the environment. It requires no special expertise or software to use and includes diverse data from a variety of disciplines and sources. The interested public: includes individuals generally interested in environmental and societal information; they tend to be involved in their communities and can have an influence on decisions made in their communities. Analyzers of information: includes technical staff analyzing information to support decision-making in various government and non-government organizations. This group also includes educators and their students. EnviroAtlas provides an amazing data resource for this group of users who would otherwise have to locate, organize, and compile the data. Decision-makers: includes decision-makers at various levels of government as well as non-profit associations and corporations. Find out how you can use EnviroAtlas data. EnviroAtlas has been designed for use by any individual, government, or organization with an interest or curiosity about the environment. It requires no special expertise or software to use and includes diverse data from a variety of disciplines and sources. There are no special software requirements to use EnviroAtlas, all that is needed by the user is an internet browser and Adobe® Flash®. Adobe Flash allows the web-based interactive map viewer to function properly and is available free of charge. Flash is frequently pre-loaded on personal computers, but if this is not the case, the user will be prompted to download and install the software when accessing the EnviroAtlas Interactive Map. EnviroAtlas houses and combines an extensive collective of spatial data, including modeled results, field research, and results of literature reviews from a variety of government and non-government sources. This information characterizes the benefits derived from the natural environment, community infrastructure, demographics, and health outcomes. This information helps providean understanding of the relationship between the environment and human health and well-being. Our definition of well-being includes economic well-being as well as social equity. The EnviroAtlas interactive map contains ecosystem services data which is organized into several categories characterizing the production of ecosystem services, the demand for ecosystem services, and the attributes that may impact an ecosystem’s ability to continue producing those services. Most of these data for the nation are summarized by 12 digit hydrologic watershed basins (12 digit HUCs); for the EnviroAtlas community component the data are primarily summarized by U.S. Census block group. EnviroAtlas also includes demographic data, which reflects the distribution and composition of the population. Access to demographic data allows the user to investigate the distribution of environmental attributes in the context of impacts and equity across different sectors of the population. EnviroAtlas will also provide information on features of the built environment and community infrastructure including transportation, materials and waste management, building infrastructure, and urban land use. EnviroAtlas brings together many different types of data to help inform a variety of decisions. Visit the How to Use EnviroAtlas webpages for ideas on how the data can be used for decision-making and research. Please let us know how you have used EnviroAtlas or how you think you might use it in the future by submitting thefeedback form. Feedback from the user community will increase our understanding about how the EnviroAtlas data and tools benefit individuals and communities and will help guide the development of relevant new tools and data. Visit the How to Use EnviroAtlas page for tutorials and resources on the different features and functions of EnviroAtlas or just start exploring the Interactive Map and other tools! If you have a question on how to use EnviroAtlas that is not addressed by the available resources, please contact the EnviroAtlas development team by submitting the feedback form. United States Environmental Protection Agency. 2013. EnviroAtlas. Retrieved: Enter Month, Day, Year, from url (the url cited should be the exact url you accessed) or enviroatlas.epa.gov/enviroatlas for general citation. To cite specific data content, please use the citation contained within the metadata. If using EnviroAtlas publications, please use the appropriate publication citation. If you see odd text wrapping on any of our html pages, it is likely that your font size is too large. If you would like to fix this text wrapping, change the text size in your web browser. For IE, go to View and Text size, and change to Medium or smaller. EnviroAtlas contains many different mapped attributes or variables; each of these attributes in the interactive map is referred to as a data layer. To display mapped data in the Interactive Map, first select which data tab you are interested in: Ecosystem Services and Biodiversity, People and Built Spaces, or Supplemental Data. From the Ecosystem Services and Biodiversity tab, select which geographic scale you are interested in "National" or Community". From the resulting Table of Contents, select the benefit category for which you would like to view data, and choose a map from the available list for that benefit category or geography. Selecting the gray bars will display additional data categories. To turn a layer on, select the plus sign next to the data category title. This will expand to list specific maps or data layers. Check the box next to the map name to turn on the data layer or map. You can use a mouse, keyboard, or the EnviroAtlas navigation tool in order to zoom and pan through the Interactive Map. To use the number pad on the keyboard, click on the map and then use your key-pad to navigate. While in full screen, only the cursor keys (N,S,E,W) are available. There are some 80,000 spatial units at the national scale. This is a lot of data and may take a longer time to load than the community or other data. The loading speed for maps also depends on the quality of your connection and your bandwidth. Many of the map layers appear in multiple categories as they may contribute to multiple ecosystem services or be closely related to both the production and consumption of an ecosystem services. Each individual map layer has a unique name, so same name = same data. Yes, under the ecosystem services analyzer under the data analysis tab in the interactive map there is a tool that allows you to select a specific polygon and view a table of the attributes contained in the data. Web services are widely used by geographic information system (GIS) professionals to share geospatial data. A web service is a representation of a GIS resource (spatial data) that a server makes available to other computers or applications. EnviroAtlas implements Esri's ArcGIS ServerExit technology to create, publish, and share web services for data developed for EnviroAtlas. EnviroAtlas web services are used to display data in the EnviroAtlas Interactive Map Viewer table of contents and are also available for public use in desktop mapping applications or web-based mapping applications. EnviroAtlas web services provide access to data layers through ESRI's ArcGIS ServerExit and Open Geospatial ConsortiumExit (OGC) service formats. The services are published in the EPA's GeoPlatform Hosting Environment and include metadata that is discoverable through the EPA's Environmental Data Gateway (EDG)and Data.gov. Each EnviroAtlas web service can be imported into applications (such as ArcGIS Desktop, ArcGIS.com, Bing Maps, Google Maps/Google Earth, or OpenLayers) or into the EPA's GeoPlatform Online mapping interface. Application developers can incorporate EnviroAtlas services into custom mapping applications. In some cases, EnviroAtlas implements web services created by other organizations. Documentation for each web service is located within the EnviroAtlas Interactive Map. Each data layer in the EnviroAtlas Interactive Map table of contents includes a link to Fact Sheets, EDG metadata, and ArcGIS Server services. These links help the user understand the data and provide information about data limitations, additional resources, and contacts. OGC web map services (WMS) and web feature services (WFS) are also available for use; the links to these services are located on the ArcGIS Server service page. Much of the data presented in EnviroAtlas are summarized by subwatershed (12 digit HUCs) and Census 2010 Block Groups. Common geographic units are used by EnviroAtlas to allow for analysis across multiple measurements. The boundaries for these geographic areas are available under the “Reference Layers” in the interactive map. As data becomes available, future releases of EnviroAtlas will include additional geographical unit summaries. Some data will also be found in EnviroAtlas that are not summarized by geographic unit. These can be used for display or download but cannot be used in the analysis tools. Good question! In many cases, data from multiple sources are combined in a model to produce a map or a data layer. In some cases, this produces a map with a known confidence interval and in other cases; it produces a map with an unknown confidence interval (uncertainty). The EnviroAtlas team is currently investigating methods for producing better estimates of uncertainty. For questions about uncertainty for a particular data layer please refer to its metadata or Fact Sheet. Data download functionality from EnviroAtlas is currently being developed. Ultimately, the EnviroAtlas data will be available for download through multiple mechanisms. Data download will be available for all data created as part of EnviroAtlas, but not for data from external sources. For data that EnviroAtlas accesses from external sources, users will be directed to the original source of the data. This ensures the user will have access to the most current version or release of the data. EnviroAtlas utilizes web services technology to consume and publish data. Essentially, each map layer displayed in EnviroAtlas is published as a web mapping service. Web services can be easily accessed through a variety of interfaces (e.g., Esri Desktop products, Esri arcgis.com, Google Earth, Open Source GIS, etc.). Eventually, the application will also include a “clip and ship” feature which will allow users to define an area of interest (AOI) and download only the specified data layer(s) within the AOI. Summarized data will also be available directly from the data download page. Data upload to the EnviroAtlas interactive map viewer is currently not available, however, we understand this is an important capability and are currently developing this functionality. Yes, please do! The EnviroAtlas Development Team values your feedback. Through user feedback, EnviroAtlas can be improved and expanded. The user community is an active participant on the EnviroAtlas Team and involvement is encouraged and appreciated. Your feedback is vital! Please visit the feedback page to provide comments and suggestions. No, not at all! EnviroAtlas continues to evolve to incorporate additional feedback, functionality, and data, as it becomes available. There are many data layers, tools, and additional components still under development. On the status page you can see what is new and what is coming for EnviroAtlas EnviroAtlas will be released and become fully public in 2014. After this public release, the project will have an annual update release through at least 2017. Each update will include new data and features. Feedback from the user community is very important to the success of EnviroAtlas and comments are encouraged! To provide feedback on EnviroAtlas, please visit the Feedback page. Yes and no! Although the EnviroAtlas website is accessible on most mobile devices, it has not been optimized for use on those devices. The Interactive Map and the Eco-Health Browser require Adobe® Flash® which is not available for many mobile devices. However, third party developers have developed “apps” that work around this limitation. By installing one of these “apps”, the user can access more of the functionality experienced on a personal computer. We are working toward a mobile device-friendly version of EnviroAtlas. Currently, for the best user experience, EnviroAtlas should be accessed from a personal computer. There are actually quite a few data layers for both Alaska and Hawaii in the Interactive Map. However, they are not included in the initial state selection dropdown upon entering the Interactive Map because we do not have a complete set of data for those two states. The biggest issue for us has been that some of the fundamental data that we use to develop the data layers have not existed in the past for Alaska or Hawaii. This is changing, though, and we will endeavor to include Alaska and Hawaii in future iterations of EnviroAtlas. Following the public release of EnviroAtlas in 2014, there will be periodic updates to the map layers, tools, and components as needed. Data that are being accessed through web services to external sources will be refreshed automatically as those web services are updated. Going forward, many of the data layers derived specifically for EnviroAtlas are based on the Multi-Resolution Land Characteristics Consortium's (MRLC) National Land Cover Database (NLCD) which is updated every five years. EnviroAtlas data layers use the current version (2006) of the NLCD data and will refresh associated data layers when the 2011 NLCD is available. Other updates that include new data or updated versions of existing data will be added as they become available. Please refer to the metadata for each particular map layer in question to determine how recently the data were developed. With a few exceptions, the data now contained within EnviroAtlas relates to current conditions. As new data becomes available, the existing data will remain to allow users to view temporal changes in the data. Additionally, the EnviroAtlas development team is working on creating the ability to use the current data to investigate how potential changes in land cover, land use, climate, demographics, and other factors may affect ecosystem services and other aspects of the environment or community. This added capability may be available in the future. There are multiple options available to learn more about data included in EnviroAtlas. To learn more about all of the data included in EnviroAtlas for both the national and community component, visit the EnviroAtlas data webpage. Additionally, each map layer in EnviroAtlas has its own metadata, factsheet accessible from the map. The fact sheet includes an overview of the data contained in the layer, how it relates to ecosystem services and potential impacts/benefits to individuals and/or communities, information on how the map layer was developed and the individuals who created it, and a brief listing of additional resources that may be useful. Fact sheets for specific map layers are available through the EnviroAtlas Fact Sheets Resources page, as well as within the interactive map. Once in the interactive map, navigate to the map layer of interest, and then click on the blue "Info" icon. This menu contains a link to the corresponding fact sheet as well as the map layer's metadata, which fully details the technical development of the map layer. Each dataset has metadata that details when the data was created and updated. The metadata can be found through the associated map layer within the interactive map or on the metadata page. Many data sets are constantly evolving and improving (e.g., national soils data and hydrography data). As these improved data sets become available, many of the interactive map layers in EnviroAtlas will be updated to reflect the more recent improved data. Some data such as the National Land Cover Data are updated periodically to reflect more recent conditions. Where appropriate the older versions of the data may remain available to give users the ability to visualize and analyze temporal changes and trends. EPA developed a GeoPlatform environment to house and serve geospatial data to users, both internal and external to EPA. The EPA GeoPlatform environment consists of multiple servers which implement Esri's ArcGIS Server technology and allows for configuring and deploying web services displayed in EnviroAtlas. The data layers derived specifically for EnviroAtlas are stored and deployed from the EPA GeoPlatform environment. Web services added to EnviroAtlas from agencies and organizations outside of EPA are typically stored (along with associated data) and served from the originating agency or organization.